Works by Hong Kong artist, Kevin Fung, on display on the Art Walk at Island East, Hong Kong business district. The Real Me is a permanent art display at One Island East in Tai Koo by Hong Kong artist Kevin Fung. 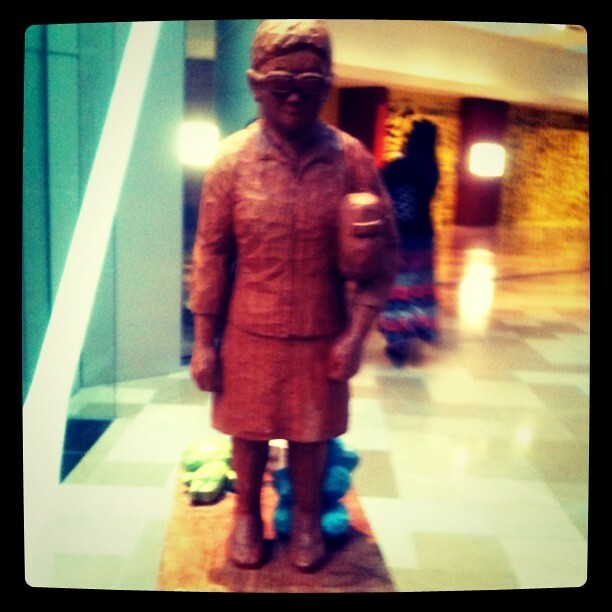 Figures on daily life in Hong Kong is carved out of teak wood and given a splash of colour. Born and grew up in Hong Kong, Kevin Fung received his tertiary education in Canada and now works as a full time artist after many years as an engineer in the telecommunication industry. He has turned his focus to sculpture in 1993, and enrolled in certificate course in modern sculpture. He has staged in a number of exhibitions in overseas, Hong Kong and PRC, incluidng exhibitions at the Guangzhou museum of Art and the Hong Kong Museum of Art. His work was collected by private collectors, institutes and museum. 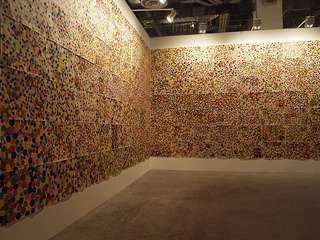 His artworks have been featured in Contemporary Asian Art in Sotheby’s. His works often reflect the customs and predicament of belonging to the middle class in today’s Hong Kong, and one of his recent commissions was 13 pieces for One Island East for Swire Properties Limited.